In recent years, most of the researchers are developing brain–computer interface (BCI) applications for the physically disabled to be able to interconnect with peripheral devices based on brain activities. Electroencephalogram (EEG) is a very powerful tool for investigating patient’s health and different physiological activities of the brain. A significant challenge in this BCI application is the accurate and reliable recognition of motor imagery (MI) task. A brain–computer interface based on MI interprets the patient’s brain activities into a control signal through classifying EEG patterns of various motor imagination tasks. The appropriate features are essential to achieving higher classification accuracy of EEG motor imagery task. For EEG signal feature extraction, wavelet transform is suitable for analysis of nonlinear time series signals. Nevertheless, the dimension of the extracted feature is huge and it may reduce the performance of classification method. Dimensionality reduction and classification play an important role in BCI motor imagery research. In this study, hybridization of particle swarm optimization (PSO)-based rough set feature selection technique is proposed for achieving a minimal set of relevant features from extracted features. The selected features are applied to the proposed novel neighborhood rough set classifier (NRSC) method for classification of multiclass motor imagery. 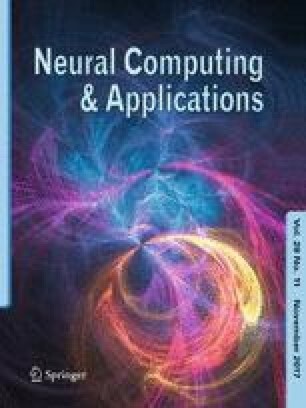 The experimental results are delivered for nine subjects of the BCI Competition 2008 Dataset IIa to show the greater performance of the proposed algorithm. The outcome of proposed algorithms produces a higher mean kappa of 0.743 compared to 0.70 from sequential updating semi-supervised spectral regression kernel discriminant analysis. Experimental results show that the strength of the proposed PSO-rough set and NRSC algorithms outperforms the champion of the BCI Competition IV Dataset IIa and other existing research using this dataset. The first author immensely acknowledges the partial financial assistance under the University Research Fellowship, Periyar University, Salem. The second author would like to thank UGC, New Delhi, for the financial support received under UGC Major Research Project No. F-41-650/2012 (SR).